1. 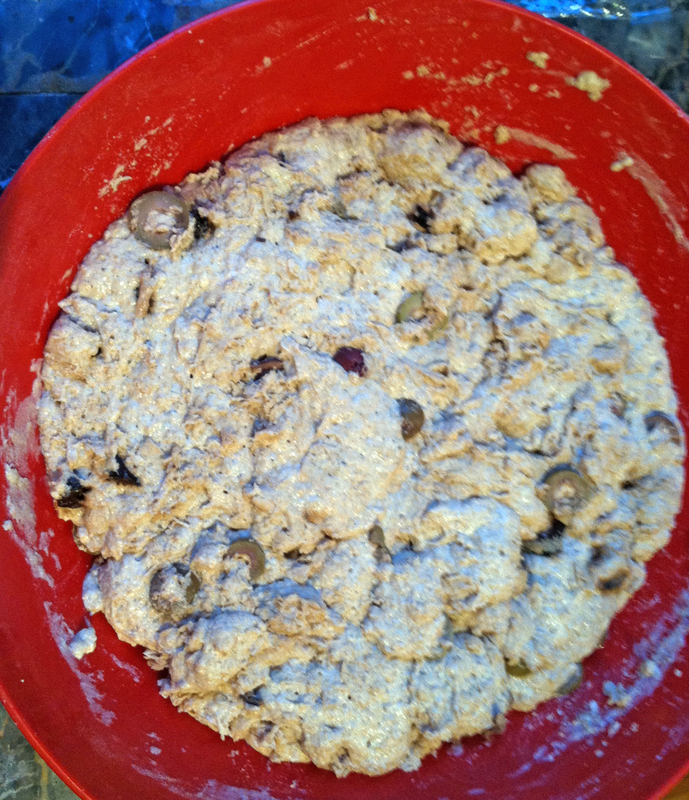 Combine flour, yeast and salt in a large bowl. 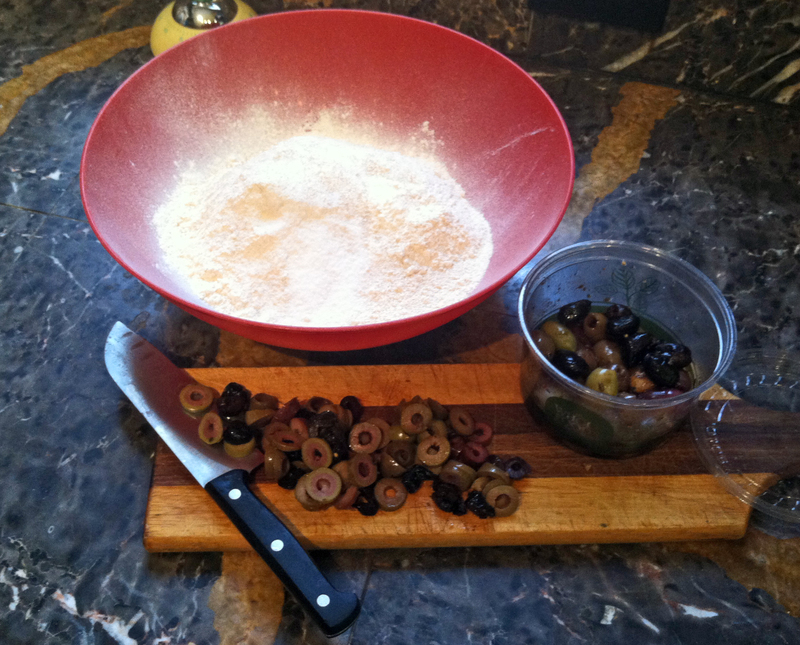 Add 1 1/2 cups tepid water (about 115-120 degrees), 1/2 cup sliced olives, (I used a combination of Greek & Sicilian Olives from the Whole Foods Olive Bar, and sliced them myself) and here’s my big secret, add about a Tablespoon of the oily olive water. 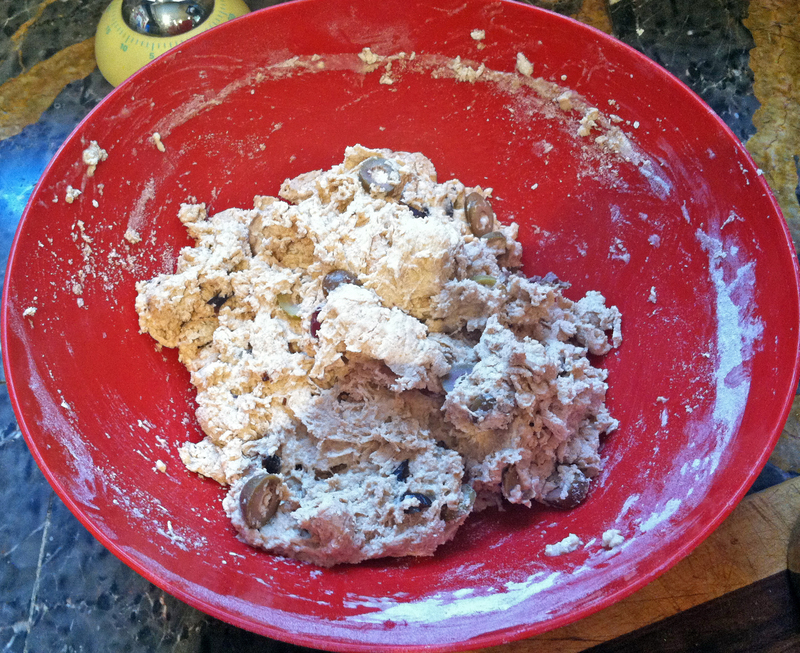 (If you choose not to do this, up the water to 1 5/8 cup and the salt to 1 tsp) Mix the ingredients together until the all the dough is incorporated and it looks “shaggy”. 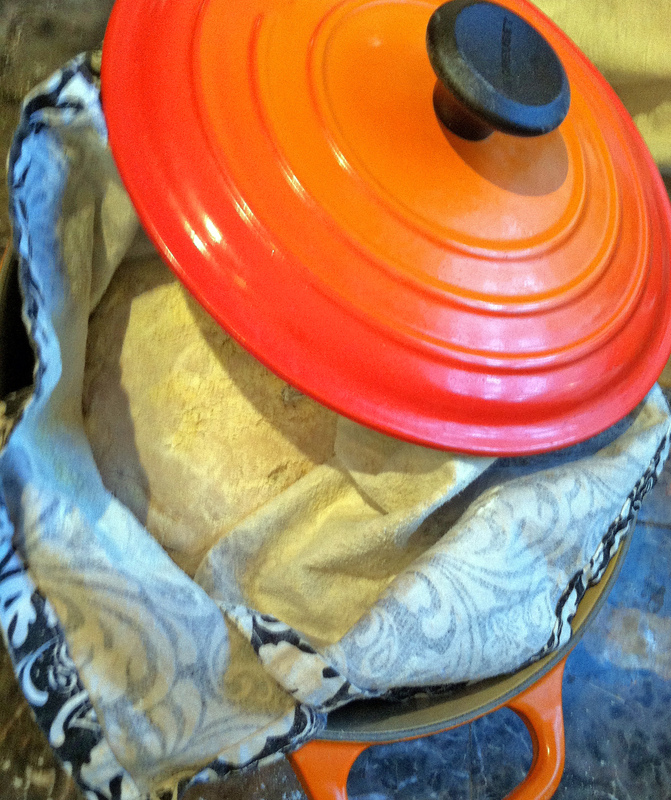 Cover the bowl with plastic wrap and let it sit in a warm place (70 degrees-ish) undisturbed for 12-18 hours. 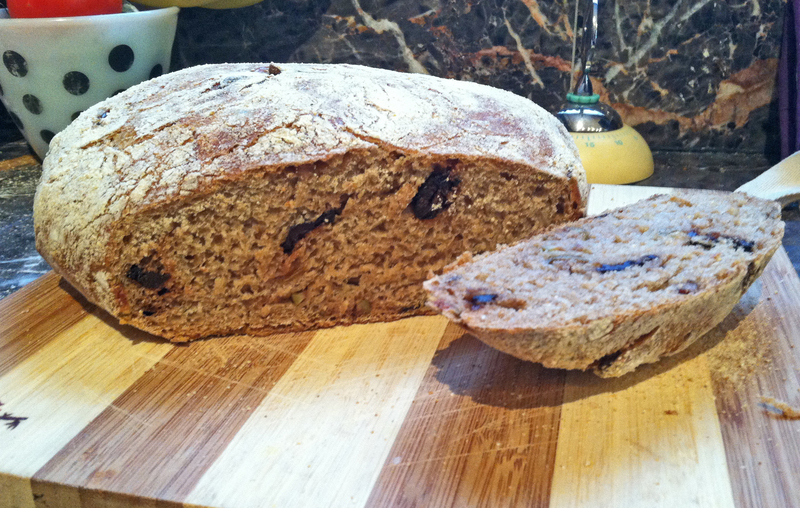 * Depending where you buy your flour, your olive loaf will cost $1-about $1.50 a loaf. I buy organic flour at Costco in bulk and the biggest yeast I can find, so my loaves are on the cheaper side. 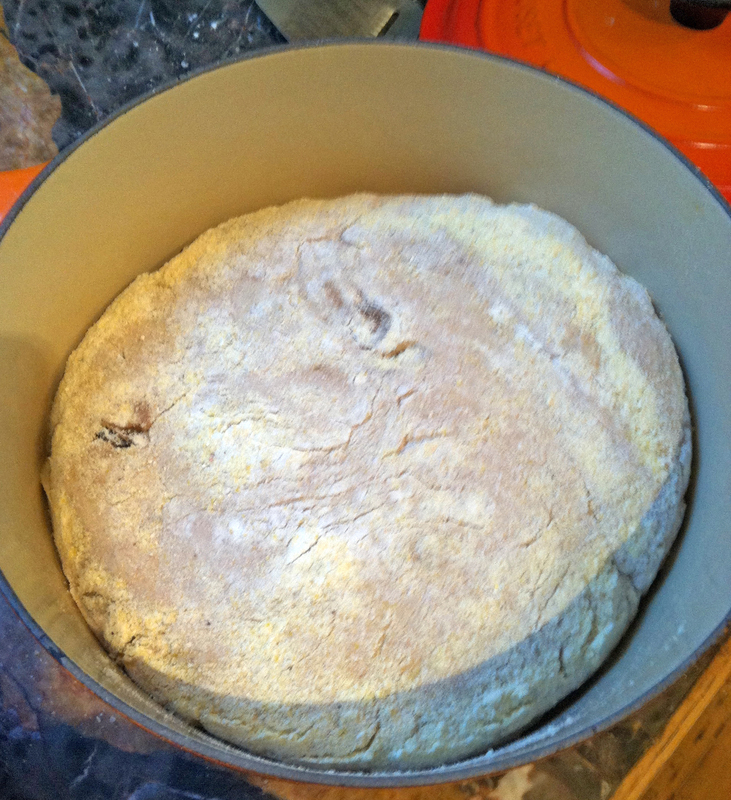 This entry was posted in baking, DIY, food, home, lifestyle and tagged baking bread, bread, bread recipe, budget, easy bread recipe, fine dining, fine living, high-altitude bread recipe, lifestyle, no-knead bread recipe, olive bread, olive bread recipe, rustic olive bread, Whole Foods. Bookmark the permalink. ← Easiest. Bread. 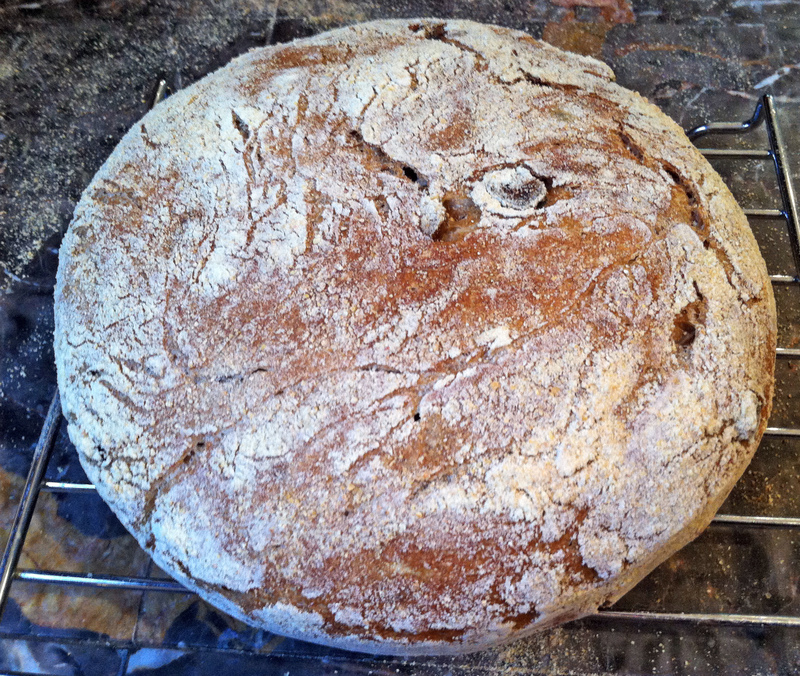 Ever…A Simple Bread Recipe that will make you look like a Hero. Or at least, a baker.